Released in the US on February 1st 2015 and the UK in March 2015, Cook's Coloring Book features 4 chapters - Breakfasts, Salads and Sides, Main Courses and Sweet Treats. 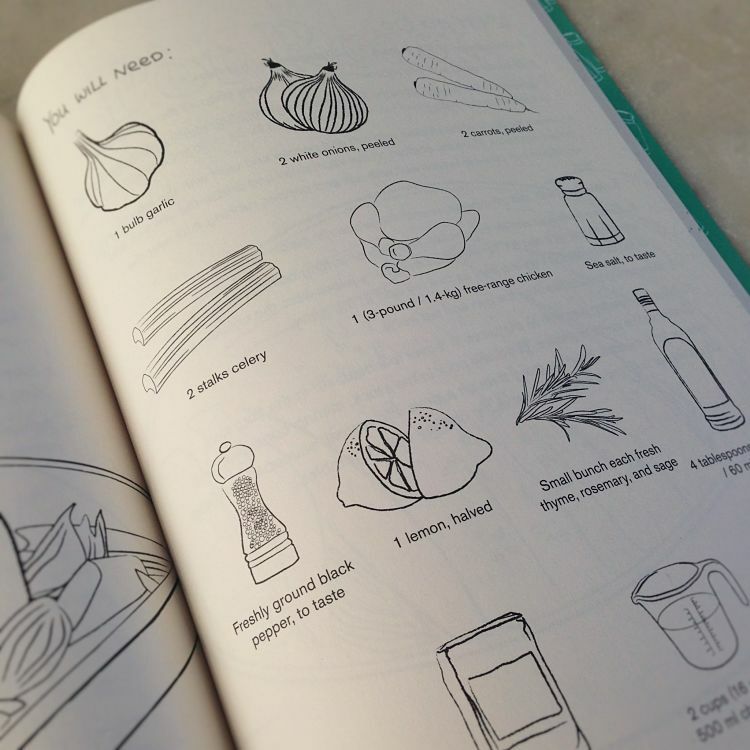 Each recipe is fully illustrated and can be coloured in. Cook's Coloring Book is a 128-page colouring book, featuring 60 fully illustrated recipes. 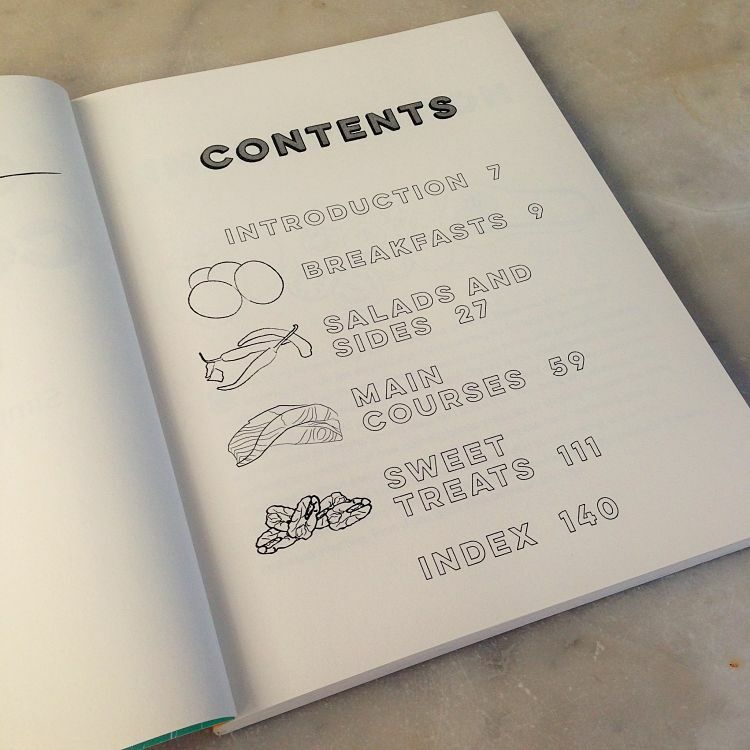 The book is split into 4 chapters - Breakfasts, Salads and Sides, Main Courses and Sweet Treats. Every single ingredient in the book has it's own illustration to be coloured in; I wrote all the recipes included and illustrated the entire book. Released in the US on February 1st 2015 and the UK in March 2015, you can buy Cook's Coloring Book direct from Gibbs Smith here. Or alternatively it's available in lots of book shops, and on Amazon too. Here is the UK Amazon link for Cook's Coloring Book.